Chocolate the way nature intended, naturally! Rich in essential superfood nutrients that will feed your vital force & nourish your soul. Perfect for the whole family. in your food processor blend your dates until a paste. fold in your almond butter until mixed evenly. Pour the mixture into your chocolate molds. this shoudl make up to 30 chocolates. 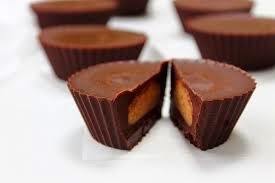 take a teaspoon and drop a 1/4 of a teasppon of the almond date paste into each chocolate mold.